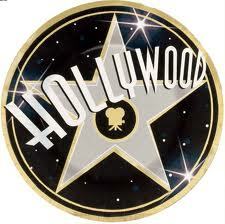 Celebrity English: The Art of Rap mixed with The Craft of Education! With a unique, dynamic, educational platform known as ColloTunes, Jason R. Levine is rapping his way into Language Learning Infamy! This considerably knowledgeable educational specialist and writer for Oxford, has created a high impact learner experience with ColloTunes. As you sit back and enjoy this positive, engaging interview at Celebrity English, you will feel a SPARK as the 3Rs come to life! Alex Graham - Question: Where are you from? Can you give us a bit about your background? Jason R. Levine - Answer: I was born in Boston. Most of my relatives are originally from there or from in or around New York City. When was eight years-old, we moved to St. Louis, Missouri, which I consider my hometown. Growing up, I was really into music, especially hip hop, and became a DJ in college. After graduating with a BA in psychology, I earned an MA in TESOL from Hunter College and taught at several schools before co-founding a TOEFL prep and English conversation school for international students in Manhattan. 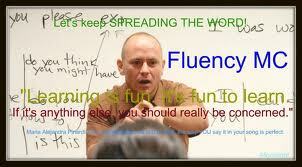 In 2004, I began developing an approach to ELT based on songs that I write and perform as Fluency MC. These songs, called ColloTunes, promote the acquisition and use of collocations to improve proficiency in English. They focus on areas of grammar and vocabulary learning that teachers typically find difficult or boring to teach. I make videos of my songs and various supplementary materials. I post the videos on YouTube and promote them on Facebook, where I am an active administrator of a number of ELT/ELL groups and pages. I am currently academic director of CAMPUS Education, a group of privately-owned English language schools based in New York City. This year, I wrote the chants for the upcoming edition of the Oxford English Picture Dictionary for Kids. I am currently writing the chants for a new Oxford series for adults as well as chants for elementary school students for a publisher in Turkey. I am chair-elect of the TESOL interest group Video and Digital Media and work periodically as an English Specialist for the U.S. Department of State. Jason: Collo is short for collocation. Collocations are pairs or small groups of words that occur together frequently in spoken and written language. A Collo “just sounds right” because we hear and see it over and over again. Examples of verb-noun Collos are do laundry, make a mistake, and get a cold. In English, have a party sounds right, but make a party sounds wrong. Have a party is considered correct because it is “what we say.” However, in many languages, such as Spanish, make a party is the natural Collo. ColloTunes are songs I create and perform as Fluency MC (a.k.a. Jason R. Levine) to teach English to children and adults. Students listen, speak, and rap while following along with lyric sheets. ColloTunes are rich in the high-frequency vocabulary and grammar structures we need to use English naturally. Alex: Please highlight some of the ‘Collo’ methodology, philosophy, and design. · provide practice for students in and out the classroom. · complement any syllabus or curriculum. · Have been viewed over 1,350,000 times on YouTube. Adult learners are generally made to feel that learning through songs is only for children; but as adults, we typically enjoy and appreciate music even more than we did as kids. Also, we need to overcome the barriers raised by our higher cognitive abilities, namely our tendency to analyze grammar and vocabulary too much and to be overly concerned with making mistakes, not being good enough in the language, etc. Music makes this possible! But it has to be music people of ALL ages can relate to. Alex: Why does Collo work? When we’re relaxed, having fun, and exposed to multiple repetitions of meaningful material, we naturally chunk the material into Collos, which we can easily store and retrieve. ColloTunes use Collos to build SPARK! : Super Powered Automatic Recall of Knowledge. To develop critical thinking skills we need SPARK as our knowledge base. Otherwise, we struggle to understand and apply what we learn. The most natural way to build knowledge is through repetitive exposure to collocations; without this exposure, superficial understanding leads to poor performance at higher levels. We become frustrated and overwhelmed. This destroys our confidence. We lose steam before we even get going. The more easily we can recall information, the more confident and curious we are. When repetitive practice is relaxing and enjoyable, we want to do it. We are motivated to learn and ready to take it to the next level. Alex: What are some of the results that students can expect? · Build skills in speaking, listening, reading, and writing. · Find it easier to learn difficult grammar structures. · Have more fun while their learning! Alex: If an educator isn’t musically inclined, are they able to recreate 'Collo' lessons like you do in the videos? Jason: Absolutely! Indeed, this was one my chief motivators for creating this material in the first place. ColloTunes are designed so that teachers don’t have to chant or rap in class. Their primary role is to follow and monitor student progress. But if they are musically inclined (or even if they’re not) they are of course encouraged to join in! Alex: Who are some of your musical influences? Jason: This is always a tough question for me because there are so many. My short list would include Run DMC, Eric B and Rakim, the Clash, The Rolling Stones, Lupe Fiasco, Immortal Technique, Curtis Mayfield, Brian Eno, DJ Premier, and Mos Def and Talib Kweli. Alex: Thank you for sharing your time, knowledge, and exceptional educational resources with Celebrity English! Jason R. Levine - you are a true, genuine educational poet. Wanting more? Feeling the SPARK? LUCKY,NEW OFFER for AUGUST 18th! TRY OUT A FREE online class with Jason! Click on the Link below to find out more! 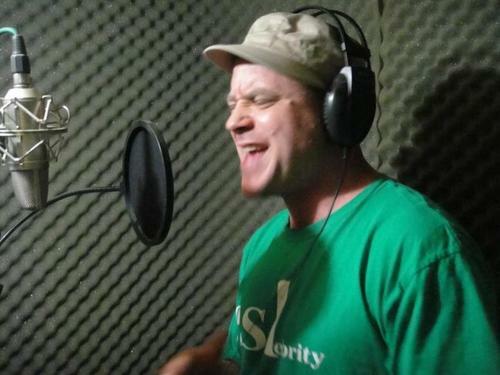 Check Out this video to see Fluency MC in Action! See you next week and remember! Thank you for your great work, Jason R Levine!Collotunes and videos are a source of inspiration for teachers !SO KEEP INSPIRING US! The art of music is one best thing that can help us to develop our learning aspects and have better education by showing and doing all the important mix of song lyrics that we usually perform. review on paper writing help websites.